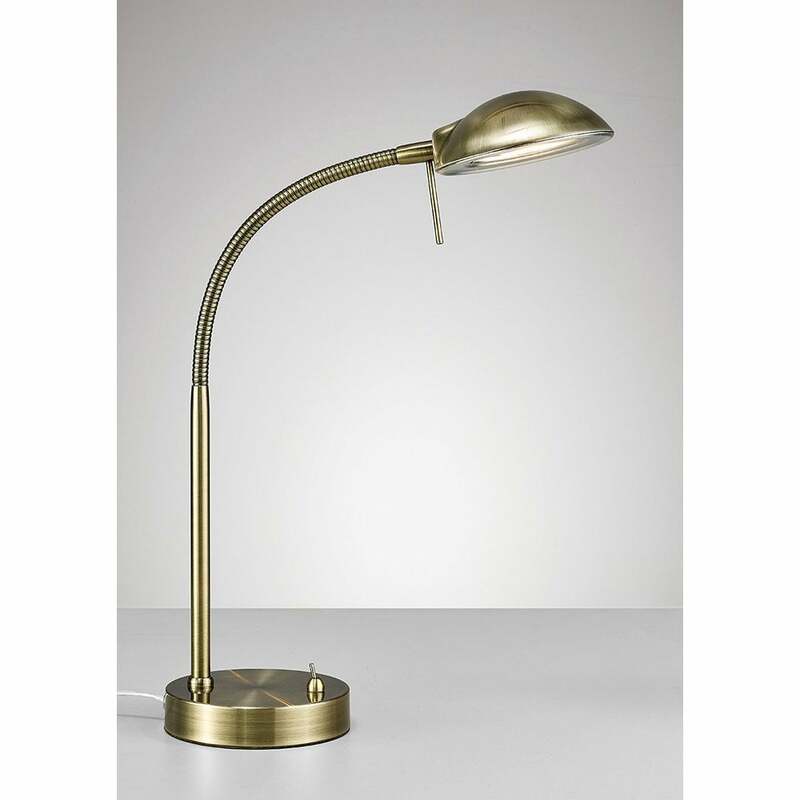 Deco Bamberg single light table lamp features a circular base with slender stem and flexible neck, holding a sleek circular lamp head, all in antique brass finish. The product code for this lamp is D0119. This simple design allows you to direct light where its required, making it both stylish and practical and the antique brass finish creates a classic look, perfect for any room within your home. This lamp is operated by a toggle switch located on the base and is double insulated. Also available in a satin nickel finish along with matching floor lamps in both finishes all of which can be viewed and purchased via our website.